The Mauna Kea Visitor Information Station (VIS) has temporarily changed its closing time from 10 pm to 5 pm starting Sunday, December 9, for an infrastructure construction project to improve visitor safety and better protect natural and cultural resources. Nighttime stargazing at the VIS will be suspended during this period, but the VIS will remain open seven days a week from 9 am – 5 pm. The project starts in December with construction scheduled to start in January 2019. The planned improvements include a new paved parking lot, entry and exit lanes to the parking area, a new greenhouse for native plants and the removal of an old structure. We expect the project to take about six months. Visitors can still drive to the summit (a 4wd vehicle is a must) for hiking and sunset views, and most tours to the area will continue. 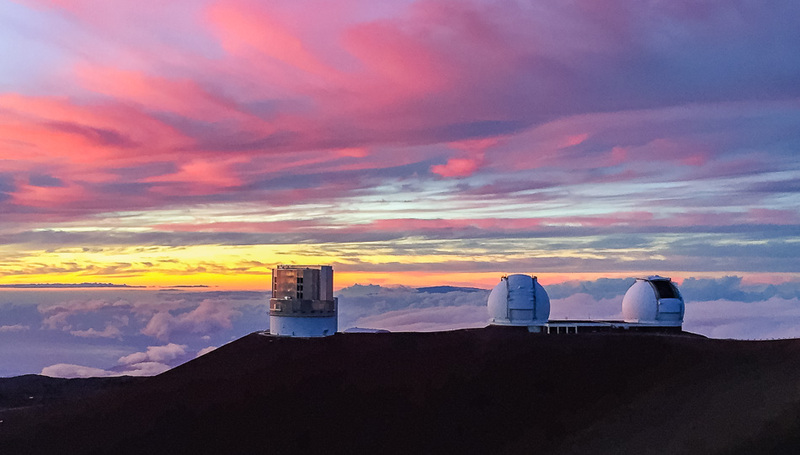 With many of the tour companies actually providing telescope viewing as part of their experience, they become an even more appealing option during this closure. The VIS restrooms will remain open 24 hours a day, seven days a week. 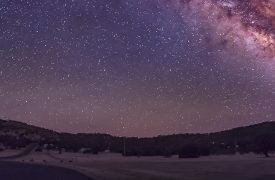 Free, fun, and a perfect cap to your Big Island vacation, the stargazing program at the summit of Mauna Kea provides visitors a guided educational opportunity to learn more about the observatories present on the volcano while helping amateur stargazing find the best views of the heavens above. Positioned at 9,200 feet above sea level, the trip up the mountain from the coast can be a staggering one – the station recommends guests take a break halfway up to acclimate themselves to the altitude change before proceeding further. Those that make the journey are rewarded with world-class looks at the stars above, which quickly explains why so many countries have installed astronomical viewing stations at the summit. Due to the dark skies, lack of artificial light pollution, and low humidity, more than 11 countries have established 13 observation stations on the dormant volcano, measuring both visible and infrared light spectrums in addition to submillimeter and radio wavelengths. 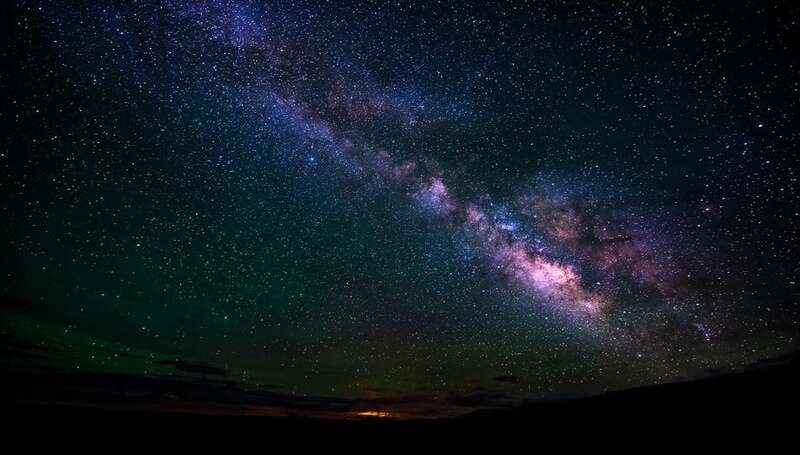 Free and open to the public, the stargazing program is sponsored by the University of Hawaii and is held every Tuesday, Wednesday, Friday, and Saturday evenings beginning at 6:00 PM. Those who venture up the slopes of Mauna Kea are advised that only 115 vehicles can be accommodated at any given time, so once the parking lots are full, late comers will be turned away. 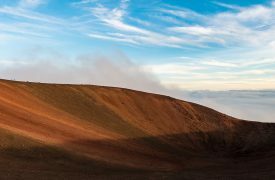 Kicking things off with an informational documentary at 6:00 PM, guests learn about Mauna Kea, the history of the mountain, and the importance to both the scientific community and to Hawaiian culture. At the conclusion of the video, volunteers set up telescopes and guests are encouraged to take a closer look at the heavens above. Once it gets dark enough, the star tour begins and staff members point out notable features in the sky using a laser pointer. The program is very popular and reservations can’t be made, so preparing accordingly and having a backup activity in case the parking lot fills up is recommended. First things first: there are some safety concerns with visiting the summit of Mauna Kea. Those who have heart conditions, pregnant, or have recently been scuba diving are not advised to proceed up to the summit. The dramatic change in altitude requires an acclimation period of at least 30 minutes and can be made at any point beyond the halfway mark. While the visitor’s center is often considered to be a natural resting spot, many guests proceed up the mountain from sea level, necessitating an early and potentially longer break before reaching the summit. 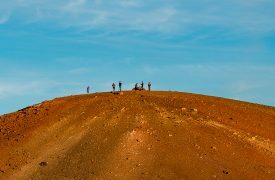 The climb to Mauna Kea may not be covered by your rental car agency’s agreement, as some approaches require four-wheel drive vehicles. Check with your rental agency before proceeding or you may incur fines. Also, there is no gasoline available at the summit and the nearest gas stations are nearly 35 miles away. Please fuel up before heading up the mountain. Temperature changes dramatically after dark and many guests don’t expect freezing temperatures on a Hawaiian vacation. Dressing warmly and bringing extra layers is highly recommended. 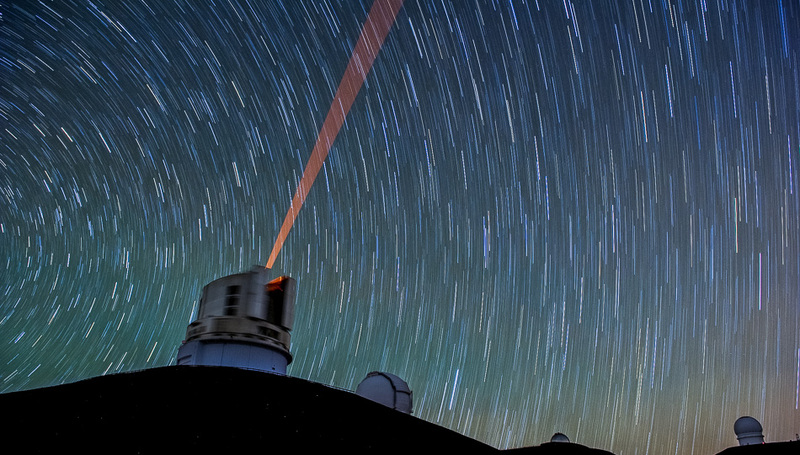 The Institute for Astronomy at the University of Hawaii is one of the world’s most influential and impactful astronomical research centers.